There were a ton of great updates over the weekend from the announcements made during D23’s Destination D: Celebrating Mickey Mouse event. 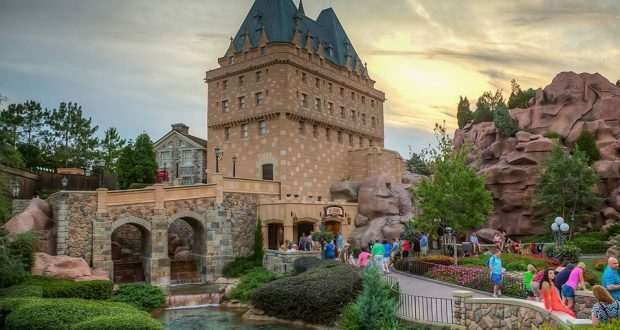 There was also an announcement that impacts the film at the Canada pavilion within Epcot’s World Showcase area. The O Canada! film is set to receive an update. The film is a 360 degree movie where guests are in the center of the theater and the movie unfolds all around them for a full 360 degrees of screen time. The film hasn’t been updated since 2007. The current film is hosted by Martin Short and highlights different areas and aspects of Canada to give guests and idea of what makes Canada amazing. There is another 360 degree film located in the World Showcase. The other one is located in the China pavilion and is titled Reflections of China. The Reflections of China film is also currently pending an update. Both of the 360 degree theaters are expected to use a new 360 CircleVision technology. This new technology will mean that there will be no gaps between the screens and the screens will be totally seamless. How many of you check out these fun films when you visit World Showcase?